Kim Kardashian Promotes Feminist Kimojis for International Women's Day: 'Grab America Back!' - Integration Through Media ....! It’s Women’s History Month, and Kim Kardashian West is celebrating with a feminist update to her customized emoji app. “So proud of this KIMOJI pack,” she tweeted Tuesday, promoting the project again Thursday in honor of International Women’s Day. Though many fans shared their love for her message of female empowerment, others pointed out that she hasn’t always identified as a feminist. “But, at the end of the day, no one should feel pressured to be labeled as anything just because they believe in certain things and support certain values or ideals,” she added. 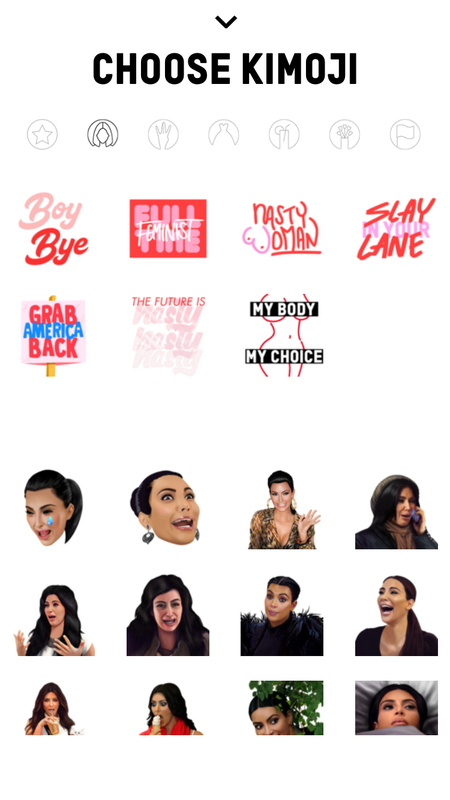 Kardashian West first launched the KIMOJI app in December 2015, hitting No. 1 in Apple’s App Store within one day of its debut.